As much as I enjoy putting together lists like the '20 most anticipated comics of 2015' or the monthly 'with pound in hand' features picking out the best of what's due for release each month, there's nothing quite like the excitement when you hear a favourite author is releasing a new book. 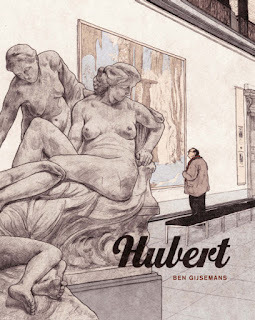 It's all the more special when a) you had no inking any such news was on the horizon, and b) when the books are translations, as they tend to be a little more scarce on the ground. 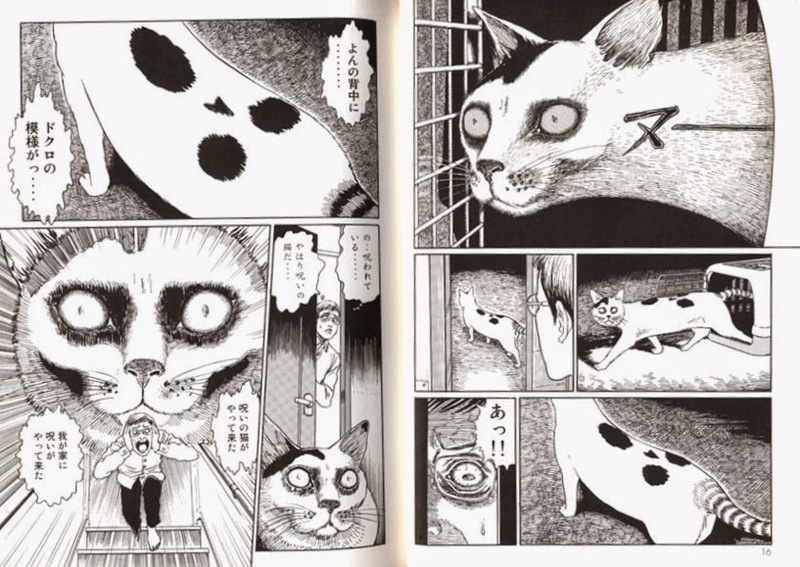 So Kodansha announcing they would be publishing Junji Ito's Cat Diary (No Neko Nikki) this October checked all the requirements for maximum impact. 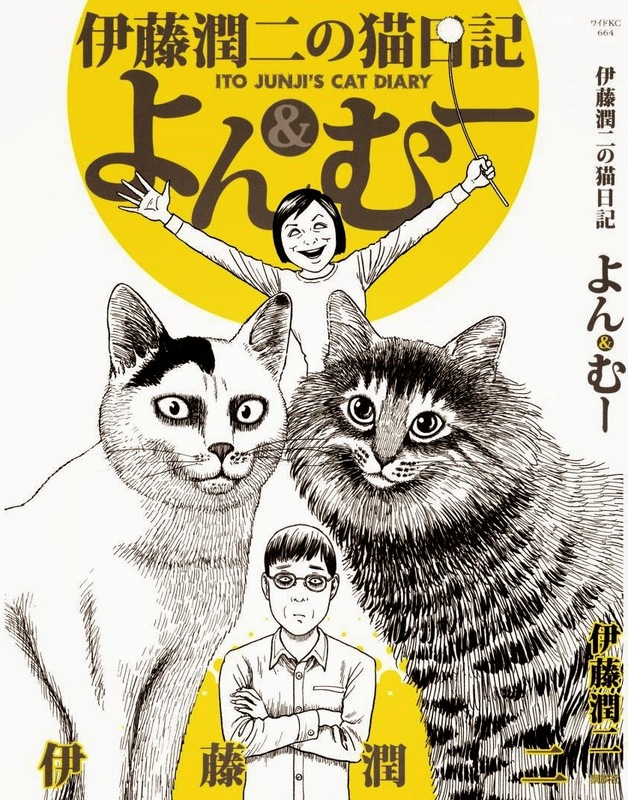 Published in its original Japanese in 2011, it's perhaps a slightly different work that fans have come to expect, a comedy take on his autobiographical experience of his girlfriend moving in with him with her 2 cats- so a quasi-fictional horror. It means that Ito fans will have 2 new English language titles to look forward to this year; Viz are releasing his most recent collection of work, Fragments of Horror, in July. Which is really excellent news. Ito is amongst the list of widely known manga authors in Europe and the US, which makes any newly translated work very welcome indeed.